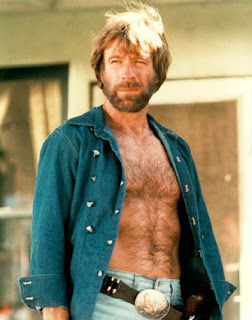 robotGEEK'S Cult Cinema: Chuck Norris joins The Expendables 2!! Chuck Norris has just joined The Expendables 2!! As if Van Damme joining the sequel didn't get me excited already, now the addition of Chuck Norris is truly making this an action lover's dream team. Sylvester Stallone, Jason Statham, John Travolta, Arnold Schwarzenegger, Chuck Norris, Jean-Claude Van Damme, Dolph Lundgren, Mickey Rourke. Who else? Of course, Bruce Willis,” David Varod, CEO at Nu Boyana Studios, told news website Novanite in an interview. Not sure if he'll be a villain or a good guy here. Doesn't really matter. Chuck Norris can do no wrong either way. Yes, I have an unhealthy love for the guy and i'm not ashamed to admit it. Along with Burt Reynolds, Lundgren, Van Damme, Walter Hill and Craig R. Baxley. As long as we're naming names. Still not sure how I feel about Simon West directing. Didn't feel like he blew me away with The Mechanic. Though I liked what he did with Con Air all those years ago. I'm sure the pressure's on though, so maybe he'll try a little harder to give us something special visually. On the first day......Chuck Norris was created. Nothing else matters!